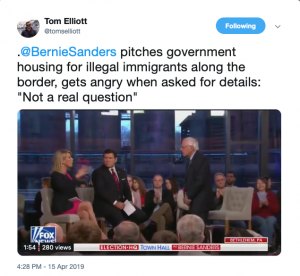 Bernie argues there should be more government facilities built for illegal aliens on the border. He also false says that Trump ended DACA. DACA is actually still in force.